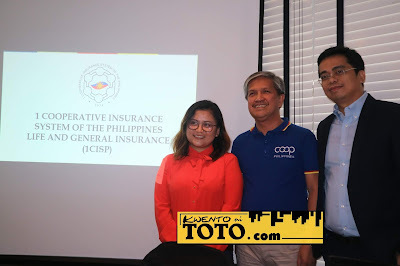 Union is strength and coop is power, the largest cooperative insurance organization in the country, 1Cooperative Insurance System of the Philippines (1CISP) is one of the fastest-growing insurance cooperatives in the world and this is based on the prestigious International Cooperative and Mutual Insurance Federation's (ICMIF) 2018 rankings. 1CISP President and CEO Roy S. Miclat revealed this achievement during a press briefing held at the Romulo Cage in Makati City last December 4. Published last November 20, ICMIF's Key Statistics Report surveyed its largest and fastest-growing members across product and regional line, with 1CISP among the top performers, placing 8th for fastest-growing life insurers, and 17th over all for emerging markets, at a 23.8% premium growth from 2016-2017.
out of ICMIF's network comprised of 197 members world wide, 1CISP is among only a handful of Asia-based members with growth stacking up against the international rankings. "ICMIF is one of the industry benchmarks we hold ourselves to, as they only global representative body of the cooperative and mutual insurance sector," Miclat shared. "And their 2018 report validates the sustained momentum 1CISP has achieved," he added. Miclat also announced that 1CISP breached the 2-billion-peso mark in terms of total assets in the third quarter of the year. The insurance cooperative registered total assets of Php2.04 billion as of end September 2018, a huge 50% growth from the Php1.36-billion asset level in the same period last year. "1CISP, in comparison to corporate insurance counterparts, is growing at a remarkable rate, and believe it or not, this is not an isolated phenomenon in the country. It is a lot more common across the world than previously thought, with a precedent since 2007," said Miclat, citing the ICMIF outline of industry trends. Based on ICMIF analysis over a ten-year period (2007-2017), ICMIF members not only experienced exponential growth, but also outperformed the overall insurance industry average, including non-cooperative insurers. The Key Statistics Report outlines, "ICMIF members have grown at a significantly faster aggregate rate than the global insurance market as a whole. During this 10-year period, ICMIF members increased their collective premium volume by 39.3%, considerably greater than the total market average, which grew by a total of 16.8%." "these numbers speak for themselves and support 1CISP's mission - a prosperous Philippines is a cooperative Philippines," Miclat stressed. "while we take pride in reaching greater heights together with our peers in cooperative insurance, we are even happier that cooperatives are getting the credit they deserve," he added. Miclat also gave an overview of 1CISP's 2019 business forecast, projecting an upward trajectory in the wake of their 2-billion asset milestone. "cooperatives have been succeeding away from the limelight all this time, but our time to shine is now. 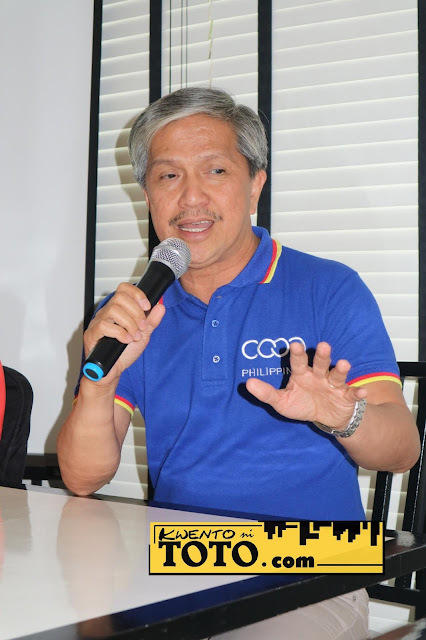 We want to show everyone that Philippine cooperatives are making their mark both here and on the world stage, as globally-competitive organizations," he concluded. 1CISP is also sending a delegation to the biennial ICMIF Asia and Oceania Association (AOS) Seminar 2018 on December 6-7, in Hong Kong. Slated to speak and interact with youth, Miclat, with other cooperative insurance heads, will lead the Morning Meeting by CEOs and Young Attendees. Tackling the theme "Impact of Digital Innovation," the AOS is a forum for exchanging invaluable insights, with 1CISP representing the Philippines as the champion for tech-adoption among coops and engaging the youth.